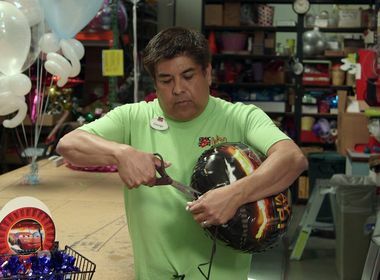 On Father’s Day and at graduation ceremonies, SCE reminds customers to keep metallic balloons safely tied down with a weight. 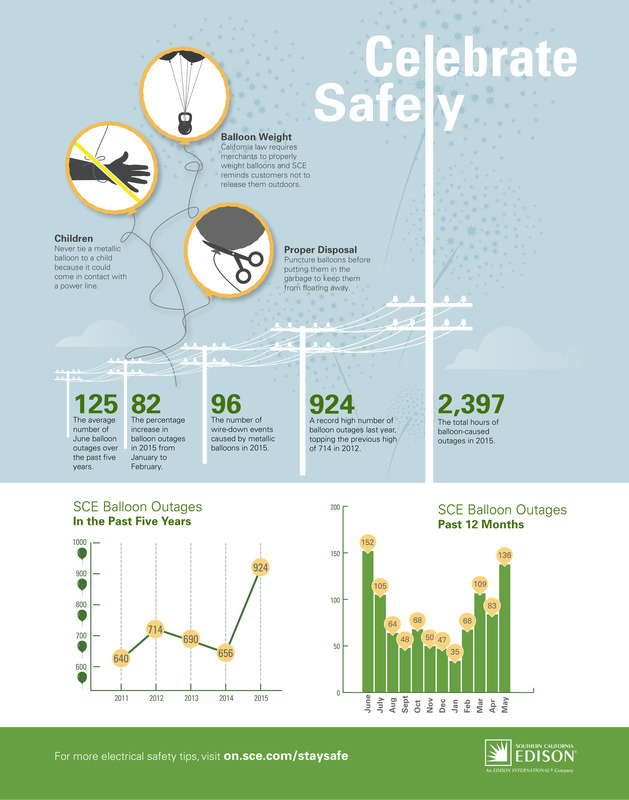 Did you know that outages caused by metallic balloons typically spike in June? 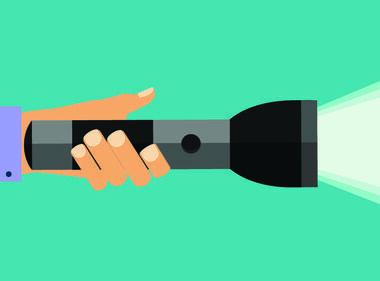 Every year around the time of graduations and Father’s Day celebrations, shiny, metallic balloons end up being released into the air and tangled in power lines causing hundreds of power outages. And with 431 metallic balloon outages through May, compared to 390 at the same point in 2015, we are about 10 percent ahead of last year's record pace. In 2015, there was an all-time high 924 metallic balloon outages. 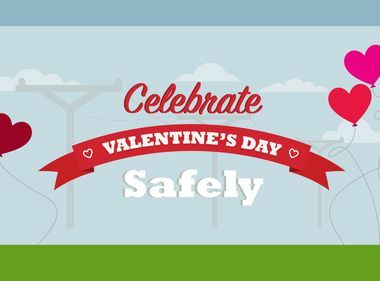 Below, you’ll find more information on metallic balloons and electricity along with helpful tips for celebrating safely with balloons. At Southern California Edison, the safety of our customers and communities is our priority. Please help spread awareness of potential metallic balloon related hazards and never attempt to retrieve a balloon — or any foreign object — tangled in power lines. Instead, call SCE at 800-611-1911 and report the problem.